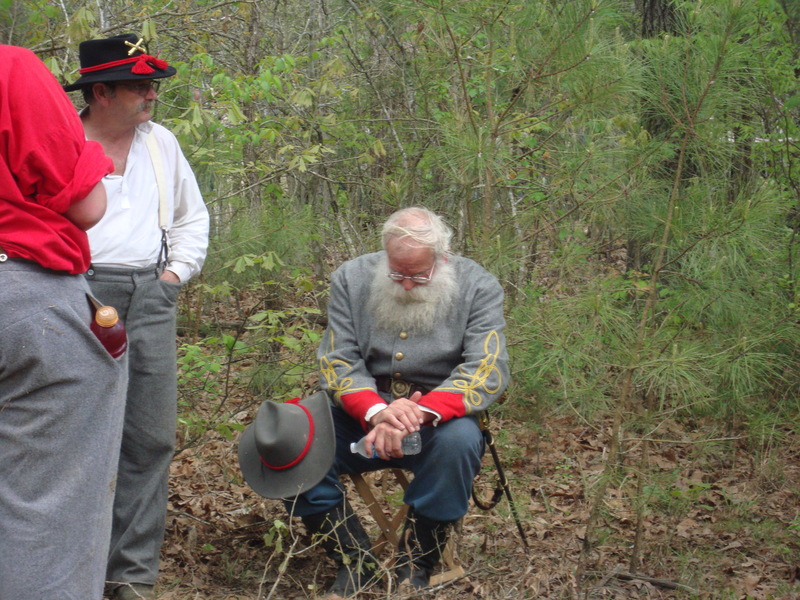 For quite some time, local camps of the Mississippi Sons of Confederate Veterans have been pursuing a very special project. It seems that every state that participated in the Battle of Shiloh has a monument, except for Mississippi. I’m not sure why it has taken this long to get the funds together, but I’m guessing it is because, after the Civil War ended, Reconstruction took hold and the state was so poverty-stricken that it couldn’t afford to pay for a monument. However, that is going to change in the very near future. The state has agreed to match funds contributed by Mississippi SCV camps for the project. The following is a letter from the Mississippi SCV Commander, Alan Palmer. “It gives me great pleasure to announce the passing of the Shiloh Monument Bill to fund the 250,000 dollars for the construction of the Shiloh Monument. The bill will be signed by the Governor by the 22nd of this month and it is worth noting the bill passed without a single nay vote. This is a major accomplishment for the continued efforts of the SCV and others who wish to remember and honor our ancestors.”There are many people who deserve recognition for this accomplishment but three deserve special mention. Buddy Ellis who started the SCV efforts in getting us all on-board at a time when it seemed economically impossible, and Greg Stewart who was instrumental in laying the groundwork and or lighting fires under the right people to proceed with this important legislation, and non SCV member Kimble Johnson who is the chair of the Mississippi Monuments Commission. As you know we cannot put so much as a single brick up at Shiloh, it has to come from the state and Kimble Johnson in that since is the state representative. The good news is he and we want the same thing and we will have a monument that will surpass all other monuments now at Shiloh, something we can all be proud of and that will honor our boys in the way they deserve after all these years. “The total cost is expected to exceed $425,000 and of course that could go higher and probably will, the good news is with the $250,000 from the state we will begin the project with a little over $420,000 once the money is deposited into the Archives account in July. We still need to keep up our fund raising efforts to offset any additional costs that will come up, because they will come up and we don’t want to have to scale back for lack of funds. Every penny raised for the Shiloh Monument will go for the Shiloh Monuments construction, placement, and upkeep. “We have developed a close working relationship with Kimble Johnson that we must maintain in order to have an important part in seeing this project through to completion. I spent two hours on the phone with Kim Friday night and we are on the same page and he has given us a most important task in the design of the monument to make sure it is a historically accurate representation of Mississippi troops. He also agrees that while the monument will represent the 6th Mississippi with larger than life Bronze figures ,all Mississippi units must be listed on the monument that were at Shiloh. “As you know we also were trying to get legislation through that would provide state monies to help us restore and preserve those sacred Battle Flags that we have worked so hard on. I am sorry to say the bill died in committee, however, the bill did not die because of the provision to provide money for flag restoration and so we plan to present it again in the next legislative session with high hopes of getting it through. I mentioned a few weeks ago that several of us met with Lt. Gov Tate Reeves and he is very much in favor of restoring the flags and will be an ally in our future efforts. Along those lines and in speaking with Greg Stewart last night I think we should formulate a new permanent legislative committee to work with legislators in pursuing our goals. My thoughts for making this a permanent committee is that you cannot change committee members every two years when a new commander takes over because it takes time to establish relationships with the powers that be and an entirely new committee every two years would be ineffective at best. That being said, the committee would answer to the commander and division as we all do and a member could resign or be voted off the committee if the need arose by the EC and a new member appointed. After seeing what can be accomplished I think this could be an extremely important committee in promoting and or defending our heritage as we move forward. Many of you have taken the lead on your own and achieved great success in the past but we need a concentrated full time effort in place and with that there is no telling what we could accomplish. This is exciting news, and well overdue. Best of luck in achieving your goal. A fascinating relic from the War Between the States still exists in downtown Memphis. Known as Slave Haven, or the Burkle Estate, the small white clapboard house (built between 1849 and 1856) on 826 N. 2nd Street is believed to have been a way station of the Underground Railroad. 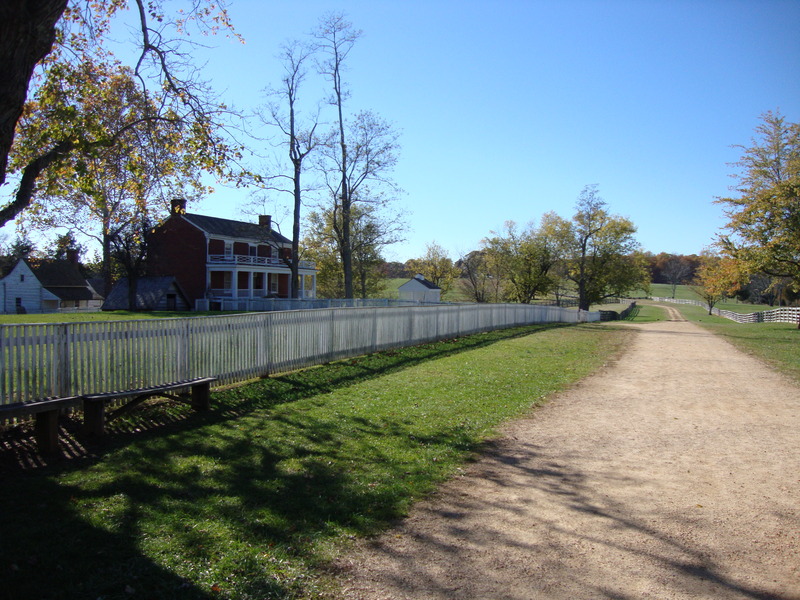 The house was built by Jacob Burkle, a German immigrant, who also assisted slaves to their freedom by hiding them in a cellar until they could escape north through tunnels leading to the Mississippi River. Slaves then obtained passage on boats traveling up to the Ohio River. There are four underground tunnels in Memphis that were major arteries of the Underground Railroad. 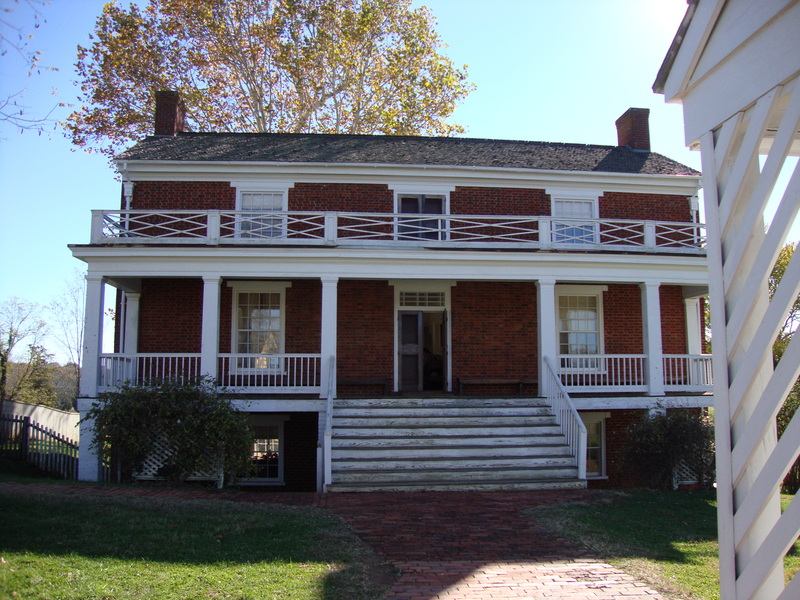 The house is marked by two large magnolia trees that were a signal to slaves because of their evergreen leaves. 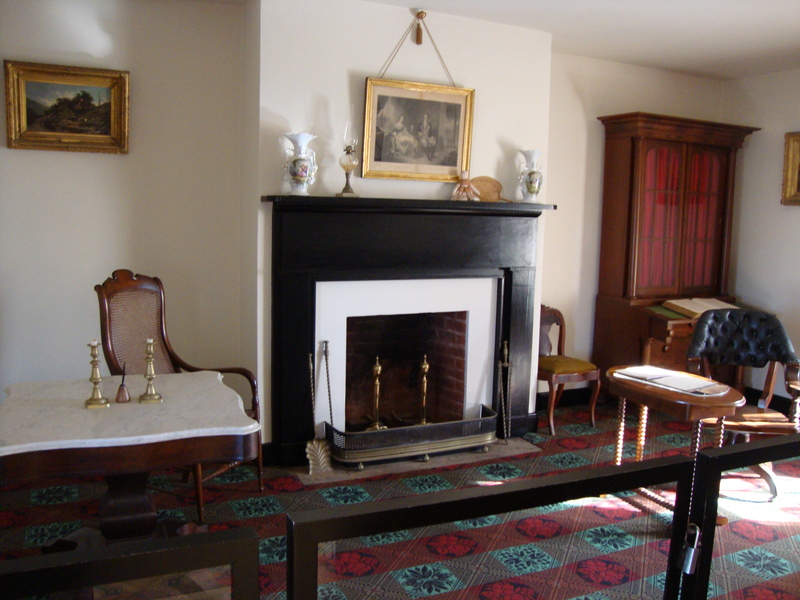 The house is furnished with Victorian furniture, and one room displays quilts that were used by slaves as maps to their freedom. 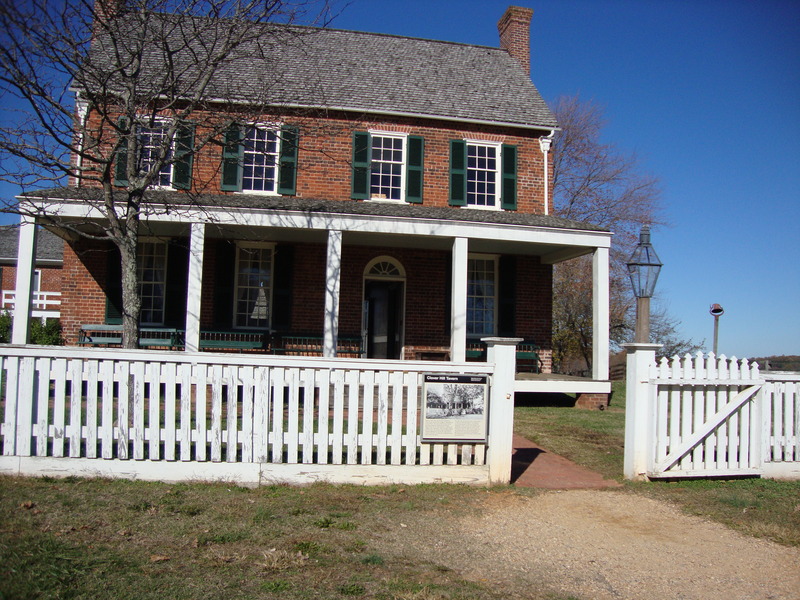 In 1978, the family revealed that the Burkle Estate had been part of Underground Railroad, and the house was opened as museum in 1997. This weekend marks the 151st anniversary of the Battle of Shiloh in Tennessee. 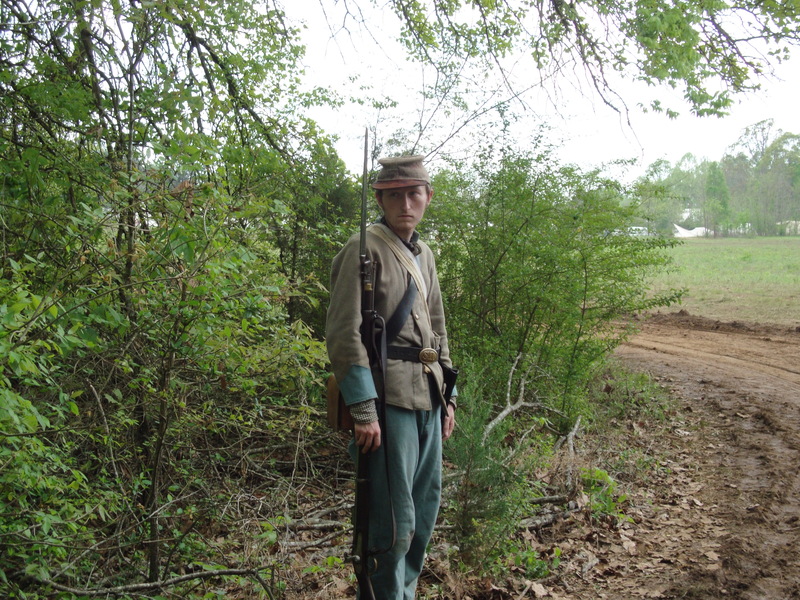 Last year was the big event, with over 10,000 spectators and reenactors in attendance (myself included). 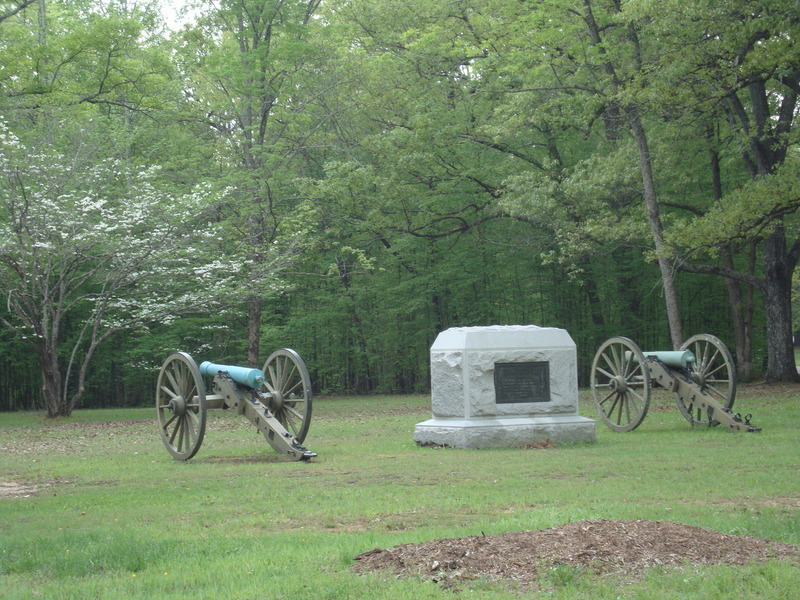 Although nothing as monumental is slated for this year, the Shiloh National Military Park will still hold discussions and tours of the battlefield. 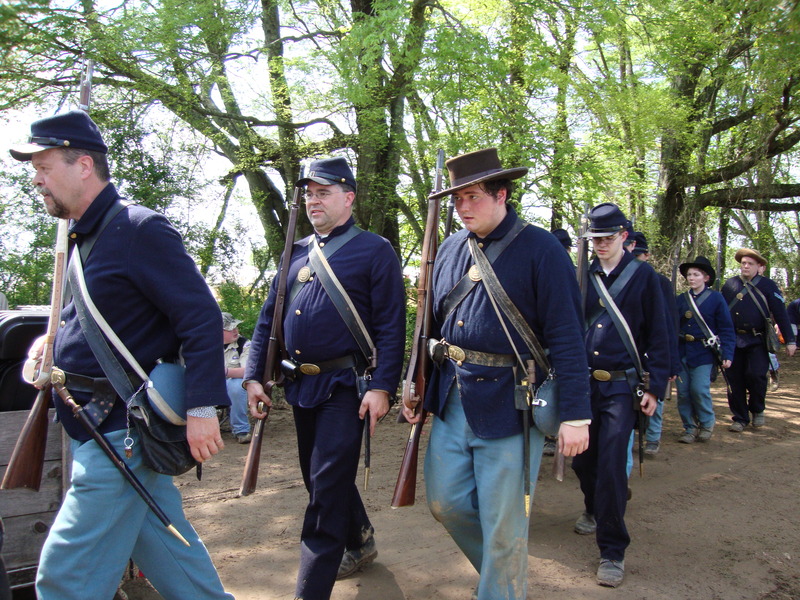 Last year, a week of events to commemorate the terrible battle took place, including two separate reenactments. Opening ceremonies included an appearance by Miss Tennessee, as well as reenactors portraying generals who fought there: Grant, Hardee, Albert Sidney Johnston (who was killed), Beauregard, Buell, Wallace, and Prentiss, to name a few. Simultaneous battles took place before several hundred spectators. A ladies tea and soiree, followed by an 1860’s fashion show, were held under a big tent, surrounded by food vendors and sutlers selling any era item imaginable. On Saturday evening, a period ball was held in the big tent, which was so filled with reenactors that it was difficult to move about. However, dancers still had a very enjoyable time. Music was performed by the 52nd Regimental String Band. Sunday morning began with a period church service. 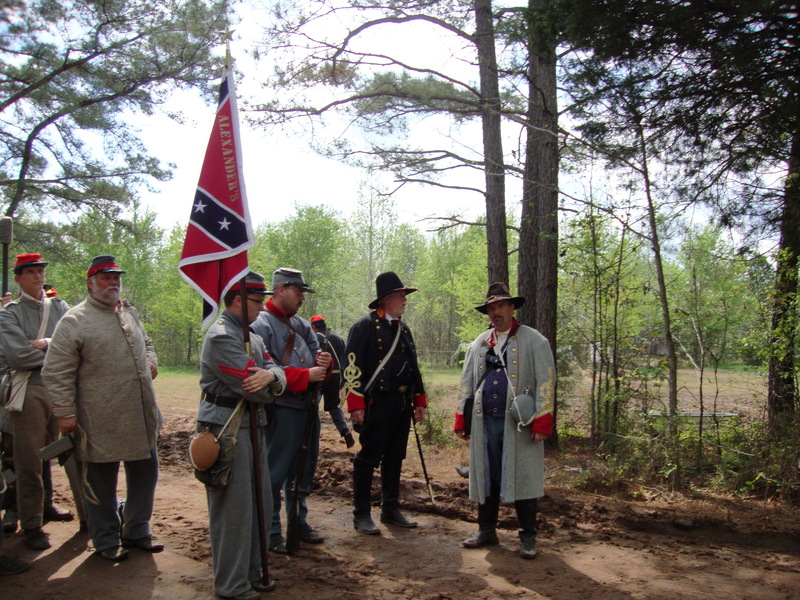 Officers spoke about the roles they played during the battle, and then another reenactment took place before the event came to a close. Yesterday’s second meeting of the Memphis Parks Renaming Committee accomplished nothing, and the decision to rename Confederate Park, Jefferson Davis Park, and Forrest Park has been put on hold yet again. This time, community comments were allowed, which, of course, ranged from opposition to support. One local television station broadcast that it looks like the parks’ names will be changed. It is a decision that was influenced by the Ku Klux Klan’s rally, which took place in Memphis last weekend. The committee will recommend to the city council what steps they will take. According to city council member Harold Collins, “Whatever we recommend, there’s gonna be a fiscal note to it, because there’s gonna be changes in the park. There’s gonna be signs have to be made, and so, that’s gonna cost money.” No word as to when the formal decision will finally be made.